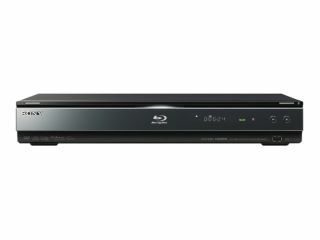 Strangely missing from CES this year was a Blu-ray player update from Sony. But the company has made up for it this week, with the announcement at PMA that it has refreshed its BDP range. The BDP-S360 and S560 are both BD-Live (Profile 2.0) capable and house decoding and bitstream output of Dolby TrueHD and Dolby Digital Plus, DTS-HD High Resolution Audio, and DTS-HD Master Audio. The BDP-S560 has the added bonus of Wi-Fi, so any updates to BD-Live can be down without wires. Unfortunately, it isn't able to play streaming content, though, despite being web-ready. Both machines can handle AVCHD playback and upscale normal DVDs to a reported 1080p. The biggest news about the players is price. The machines are retailing at $300 (S360) and $350 (S560) – which should put them at around the £200 mark when they come to the UK.